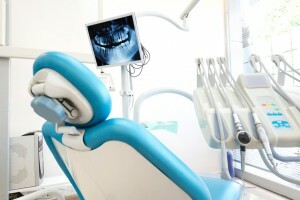 Dr. Stoddard has almost 30 years’ experience providing dentistry in Norwood. He owned and operated Dr. Paul V. Riley’s dental practice before making the move to Central Dental Associates. Dr. Stoddard is committed to following the latest trends and staying up-to-date in all that modern dentistry has to offer. In addition to his significant experience in dentistry, Dr. Stoddard has a bachelor’s degree in English from Tufts University, and served in the United States Army from 1975-1978. When he’s not busy building healthy, beautiful smiles, Dr. Stoddard enjoys beekeeping, writing, reading, watching films, and farming. Dr. Stoddard’s addition to Central Dental Associates adds to the level of care we offer our patients. For general, preventive, and family dentistry in addition to cosmetic, periodontal, and implant services, patients in Norwood know they can count on our team for superb dental care. If we do detect an issue with the health of your teeth or gums, we are equipped with services in restorative dentistry to get your smile back to its original health. Tooth-colored fillings, periodontal therapy, and other treatments can come to the rescue when cavities or gum disease occur. If you’re in need of general, restorative, cosmetic, or implant dentistry, don’t wait to get in touch with Central Dental Associates. Please contact us to schedule a visit with Dr. Stoddard or another one of our expert dentists — we just love seeing your smile. Request your appointment today!